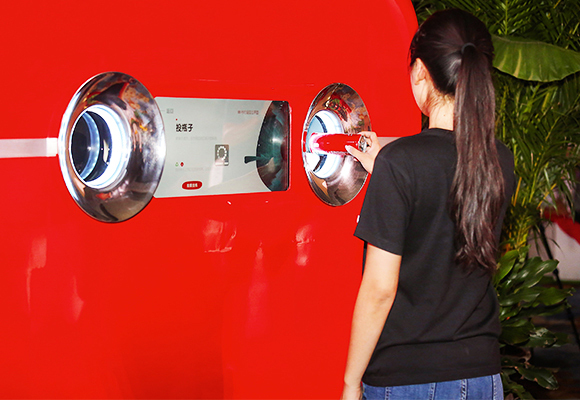 03 Oct 2018 --- The Coca-Cola Company has launched a new vending machine concept in China where consumers can purchase beverages, as well as return and recycle used bottles and cans, marking the first concept equipment to combine beverage sales and packaging recycling by Coca-Cola China. The vending machine also uses AI technology such as facial recognition and sound interaction to provide an interactive experience to the consumers. The technology seeks to balance beverage sales and recycling. Consumers who buy a beverage bottle may receive a reminder along the lines of: “you owe me a bottle, don’t forget to pay back,” via their mobile devices, consumers can also earn credits by recycling more. These credits can be used to send e-vouchers to friends for drinks or to purchase items made from recycled plastic. The vending machine features two “eyes,” the left “eye” is the exit for purchased beverages and the right “eye” is the entrance for empty bottles to be recycled. The machines “mouth” and “eyebrows” are LED pixels controlled by artificial intelligence, which can change into various expressions. The expressions are also influenced by facial recognition and sound interaction. The application of IoT technology and intelligent big data analysis also provides logistics distribution, operation and customer service support for the operation and distribution department, according to the company. “We envision a system that allows vending machines also to collect used packaging,” explains Dr. 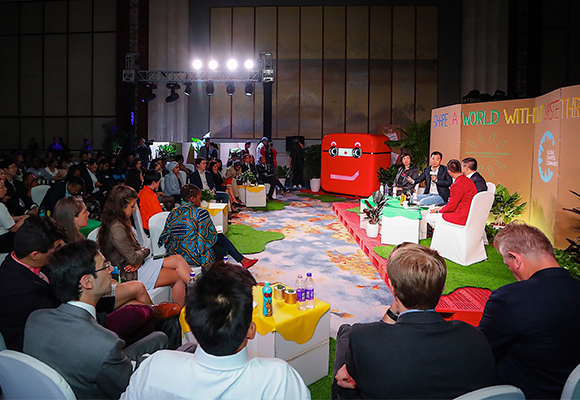 Shell Huang, vice president, R&D, Coca-Cola Asia Pacific, which unveiled the innovation at Summer Davos in Tianjin, China. 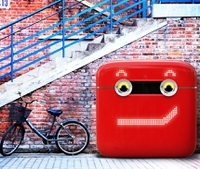 “It will help enhance recycling awareness among consumers and nurture recycling habits." “We look forward to empowering supply chain systems throughout the region, enabling terminal equipment to balance beverage sales and packaging recycling, and improve forward logistics and reverse logistics. The economy; at the same time, it can help consumers to raise recycling awareness, develop recycling habits, and achieve recycling of packaging,” adds Huang. Innovations such as the VenCycling machine support The Coca-Cola Company’s World Without Waste vision to help collect and recycle the equivalent of 100 percent of its packaging by 2030. Innovation” at the Global Shapers Eventduring Summer Davos. PackagingInsights has recently reported on Coca-Cola GB's recycling initiative that was rolled out across various UK attractions. The concept being that if consumers recycled a plastic bottle, they would get 50 percent off admission to the attraction. The key aspect that the two vending machines have in common is the of use incentives for recycling. A key component of the typical Deposit Return Scheme (DRS) technology is incentivizing consumers to “do good” through the promise of a reward, money in the case of supermarket DRSs and or credits that can be spent on exciting products in the case of Coca-Cola China's Vencycling. It is hoped that the use of incentives across the globe can drive up recycling rates.